Do you know that while there are lots of interesting patterns, styles and fabrics that you might love, not all of them are suitable for your body type? A friend of mine used to have a flat tummy before she had her three kids. Now she has a bulging tummy and really needs dresses that hide this body flaw. The question is: how should she choose a pattern that will fit her body? And not only fit but also hide her flaws. Do you have the same problems? There are rules for dressing that minimizing a person’s flaws. With the knowledge I’ve acquired over the years as an etiquette and image consultant, I can help you select styles that will play up your assets and minimize your flaws. 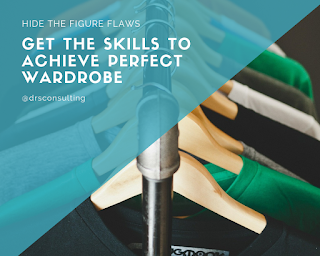 Go after a perfect wardrobe with our online Style Well Packaged For Success course today for just ₦6750 ₦45000 %85 off. Five days left at this price. Schedule a wardrobe consultation now to get started. Contact, 08170768650.